One of the many questions that soon-to-be-married couples must answer when planning their lives together is how they plan to merge their finances. In an era where most couples are composed of two working spouses, merging finances is not as simple of a task as it once might have been. Having a detailed conversation on the specifics of how money works in your household could save tensions around money from escalating down the road. 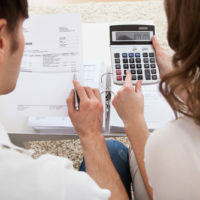 Consider the following strategies for coordinating your finances prior to your New Jersey marriage. While you may be ashamed of the amount of debt you’ve accrued over the years, hiding it from your spouse can’t last forever, and can foment distrust between you and your spouse. Make sure you lay everything out on the table right from the start, and face the issue of how to handle repayment as a team. A premarital agreement can create peace of mind for both spouses. Additionally, creating a premarital agreement offers you and your spouse-to-be a chance to discuss your financial condition in detail before you get married, and to create a writing that memorializes the assets and liabilities each spouse brings into the marriage. If you’ve been married before, a premarital agreement can prove even more critical to protecting your interests, as well as those of children from the prior marriage. Many couples now maintain separate checking accounts where they have paychecks deposited, even maintaining separate savings or retirement accounts. If you don’t merge all your accounts, you may want to consider creating certain joint accounts for specific purposes. For example, both spouses could contribute to an account that is used as your bill-paying account, set up as the account from which automatic bill payments are withdrawn. Almost no couple makes the exact same income, which can make dividing bills perfectly evenly feel somewhat unfair to one spouse. Instead, consider dividing the collective amount due on shared household expenses according to how much each spouse makes. When you’re first married, spending on a new home and expenses related to your wedding or honeymoon can mount up. Creating a budget can help you feel more in control of your finances. Spouses may not want to feel that their personal spending is overly restricted or monitored. Some spouses find that setting a price point at which purchases warrant consent from your spouse can help alleviate a feeling of being smothered. Purchases below that point can be made freely. If you would like to discuss the ways in which a premarital agreement could benefit you and your future spouse, contact the knowledgeable and experienced Union family law attorney John B. D’Alessandro for a consultation on your case, at 908-964-0102.